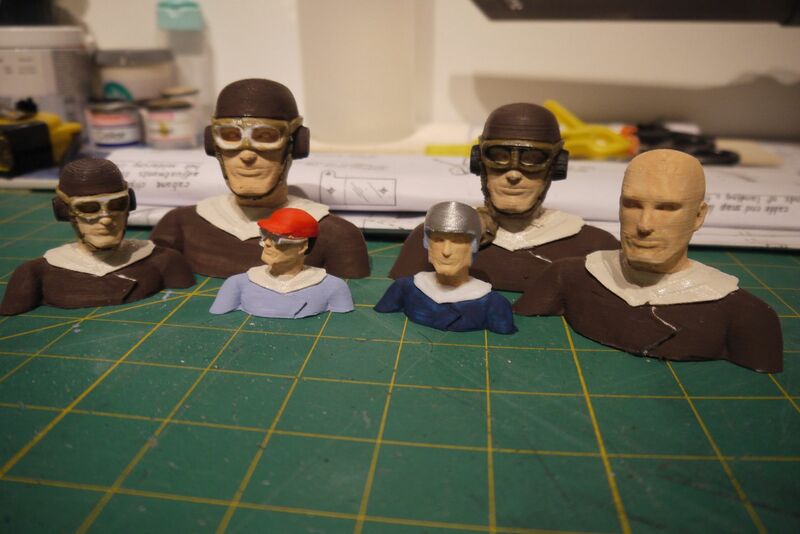 I have been playing with designing and printing some pilot busts for my models. i have the heads on a ball and socket, so that i can postion them before gluing in place. 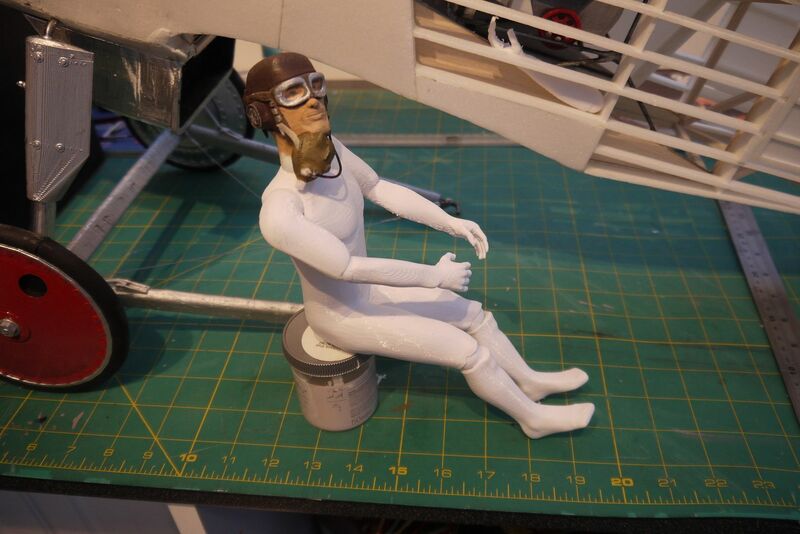 the full length pilot for my hawker fury is coming on ok.
the arms, legs and head can be positioned so he fits the cockpit better.